Do not toss those lobster shells. Make this delicious sauce from lobster shells and vegetables. The same method may be used with crab or shrimp shells. The sauce can be made up to two days in advance. This recipe is taken from "Prime Time Emeril" by Emeril Lagasse. Lobster, crab, crawfish, and shrimp are crustaceans. They are characterized by a segmented body and an exoskeleton. What they do not have is a shell. What is called the shell on these types of seafood is actually a carapace. But for simplicity and in common usage, they are called shells. 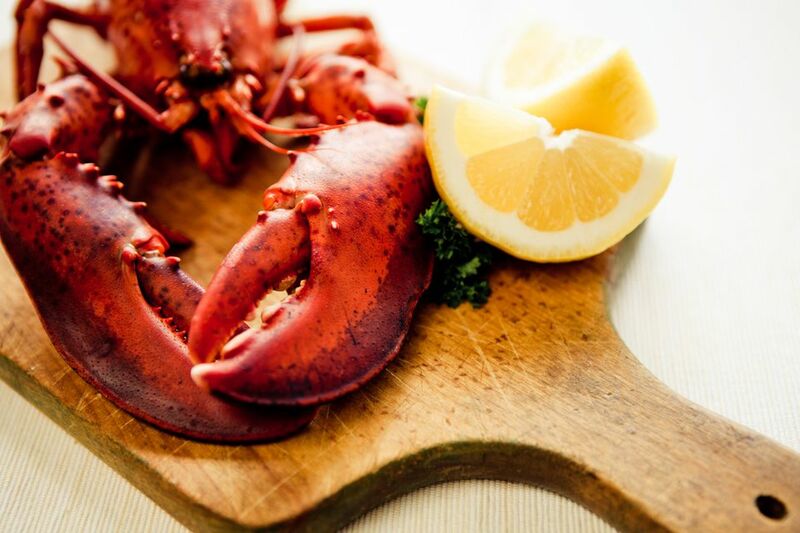 Lobster shells are rich in flavor and can be used in all kinds of dishes. Make a lobster broth to mix with pasta and other additions you like. Make a bisque by adding cream and either shrimp, crab or lobster to the broth, depending on which shells you have used for the broth. Heat the oil and melt the butter in a medium heavy stockpot over medium-high heat. Add the onions, celery, and carrots and cook until soft, about 4 minutes. Add the shallots and garlic and cook until softened, about 2 minutes. Stir in the flour and continue to stir until the mixture is a light blond color, about 2 minutes. Add the cognac or brandy and stir for 30 seconds, scraping the bottom of the pot with a wooden spoon to release browned bits. Add the lobster shells, then stir in the shrimp stock. Reduce the heat to medium-low and add the tomato paste, salt, paprika, and cayenne. Simmer uncovered, stirring often until the sauce is lightly thickened, about 1 hour. Strain the sauce through a fine-mesh strainer into a medium saucepan. Add the cream and bring to a boil over medium-high heat. Reduce the heat to medium and simmer briskly until reduced to about 3 cups, about 15 minutes. Use with or as a finishing sauce for seafood.